The family and I ventured to Dyrehaven, ‘The Deer Park’ to English readers, Sunday morning for a stroll (and a little photography for me), the weather was glorious with a warm wind resulting in a balmy 18c. This is important as the psychological October deadline is upon us. Dyrehaven, or Jægersborg Dyrehave, to be official, is an 11 square kilometer forest park North of Copenhagen, where there are large populations of red and fallow deer, and a few sika. 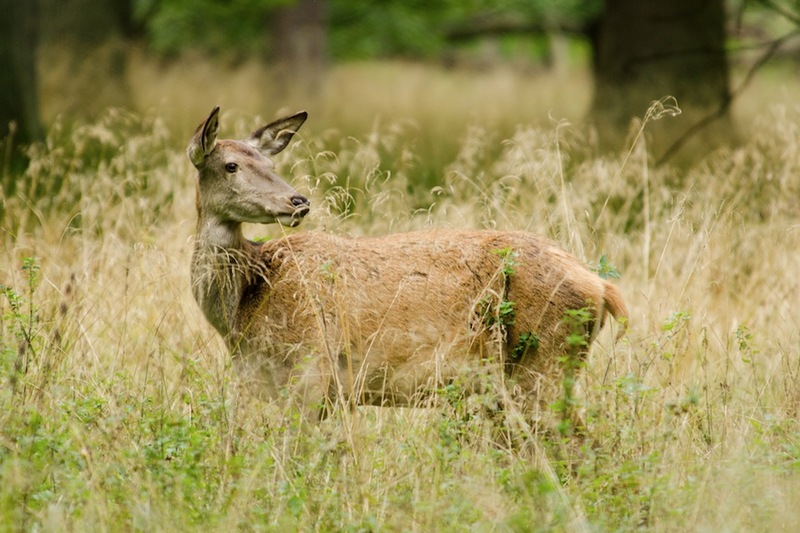 There are approximately 2,000 peer in the park, with the red making up around 15%, fallow around 80% and sika 5%. King Frederik III (had to one or the other…) in 1669 decided to fence in an area North of Copenhagen with rolling hills and woods, to have a lot of deer driven into the area and make it a royal hunting ground for the next almost 100 years until Dyrehaven was opened to the general public in 1756. The hinds (see below) and their fawns stay mostly in the southern part of Dyrehaven, whereas the stags remain more to the north. There are also white Red deer in the Park which were introduced from Würtemberg, Germany in 1737. Photographers come from all over Europe, and even farther afield, to photograph the deer in the park. I was talking with a German guy in very broken, English-German-Danish! We got there in the end though. The deer are not exactly tame (although some locally think they can “pet” the deer), but they do tolerate people getting within about 75m or slightly less, because they are so used to being people around. The red deer seemed to be more tolerable of us predators this morning, than the fallow deer. Furthermore the deer are scattered throughout Dyrehaven and feed off the grass and undergrowth in most parts of the park, so finding then is not a problem, getting good photographs on the other hand, needs a little more time and patience, and good light of course. In September and October Dyrehaven is the scene of fights between stags to decide dominance and who gets to breed with the hinds,, I did not see any “ruts” today, but will be back during October to see if I can get some action shots. This is a time when it’s especially important to keep distance to the stags. 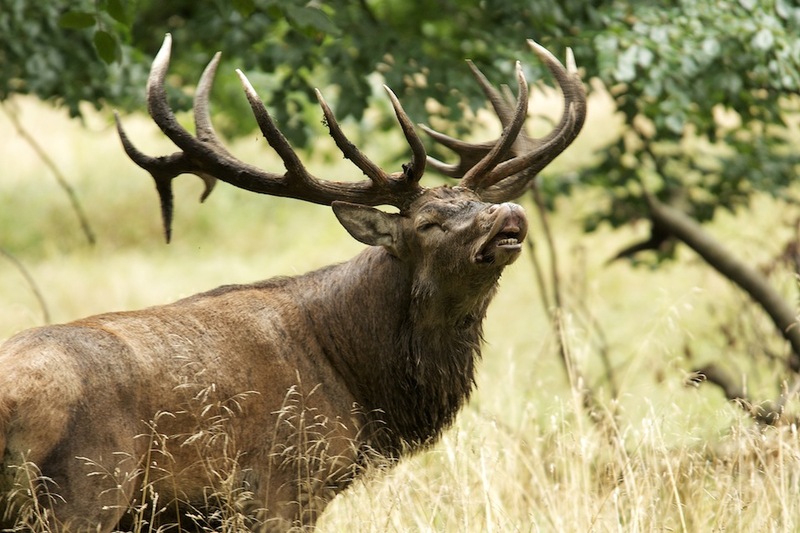 After the rutting season is over, the dominate males mate and then winter takes hold. Coming into late winter and early spring (usually March or April) the deer lose their antlers and begin scraping the skin off of their new antlers in August, so you won’t see the impressive antlers during the summer months, which is probably when most of the 7.5 million visitors come to the park. From my eyes, this is not a bad thing, as the less people in the park when the deer are more photogenic, the better the chances are of improving my portfolio.